Lord Redesdale set up The Energy Managers Association in 2012 to be the voice of energy management. In a country so committed to reducing its carbon footprint, Rupert was surprised to find a lack of cohesion in a field that will be key to the UK meeting its energy requirements. 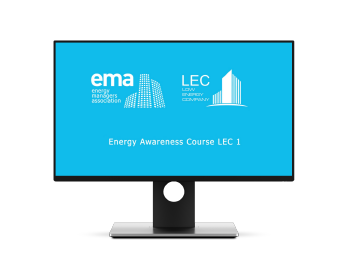 One of the main aims of the EMA is to put Energy Management at the heart of British business. Rupert needed a way to educate the everyday office worker on energy management. He decided an e-learning course was the way to go. He had the content and a deadline, but needed a helping hand in creating the content. 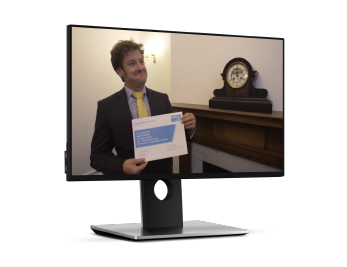 We created a 30 minute e-learning course for Rupert. But what did that involve? Scripting and Voiceover – starting with some initial text from Rupert, we worked together to make the 5 chapters video-ready. Once all parties were happy Kat and our voiceover artist hid away for a weekend to produce the high quality tracks. Storyboarding – we begin to work out exactly what would happen onscreen with each phrase, allowing Rupert and his team to share any of their ideas and opinions. This ensures we collect the correct footage and graphics to correctly communicate the message at each stage. Filming – we hired actors, booked locations and sourced wardrobe. The call sheets, shot lists and equipment made sure we didn’t have to rely so much on stock footage, minimising confusion in the messaging and allowing the viewers to feel more connected to the story. Animation and Editing – sometimes messages have more impact when communicated with simple graphics. We worked in a handful of animated graphs, illustrations and symbols to help portray some of the more complex content. Music – We brought in our musician to create five bespoke scores, one for each section, to keep the viewer engaged and moving forward with us, without distracting them from the information. Thank you for the videos – well done! Gradino produced 30 minutes of high quality training footage in a very tight deadline. We were impressed by how the team expanded to fit our needs and how effectively they responded to our feedback.